As of this date, the stand-off in Nevada between Mormon rancher Cliven Bundy and the Bureau of Land Management (BLM) has supposedly been peacefully resolved. The cattle that had been taken by the BLM for the supposed fees in arrears for grazing on Federal property have been returned. 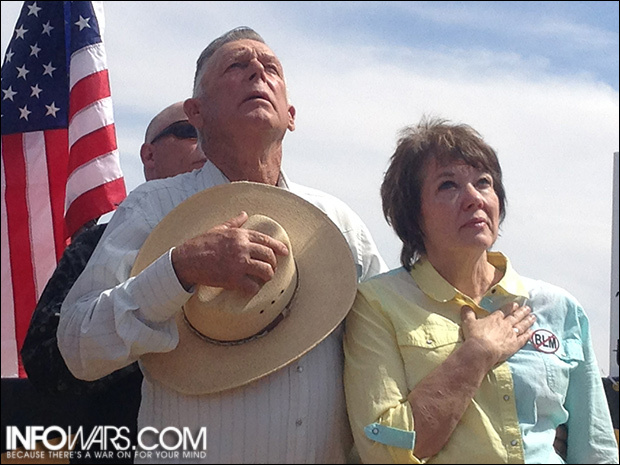 The show of militia force that had flocked to Mr. Bundy’s cause has been defused. Again, supposedly. If the various and diverse hypothetical stakes involved in this scenario are as huge as sources claim them to be, beyond the protection of the desert tortoise, from fracking rights sold to the oil industry by the BLM to Chinese interests to develop a $5 billion solar panel plant and backed by a dirty politician, then the condition will repeat itself somehow, somewhere, if not again and recurring at the Bundy Ranch. At some point the tension of The Empire’s internal decay as reflected in this instance by the friction between patriotard and reactionary conservatives and the Federal state will flare up again as “The Bundy Burn.” Odds are that it will happen somewhere west of the Mississippi. Nevada finds itself in the unenviable position of being the most fully “owned” state by the Federal Government, a full 84.5 percent. Vis-a-vis the status of State’s Rights, this translates into a powder keg. “Ownership” in this case comes down to who says so and who has the muscle to back up what they say. Since the showdown at the Bundy Ranch opened, comparisons have made to the tragic and murderous events of the Weaver Family and Waco. As we see from the above map, the situation is more analogous to another dark spot of Amerikan history, the flagrant butchery of Wounded Knee. 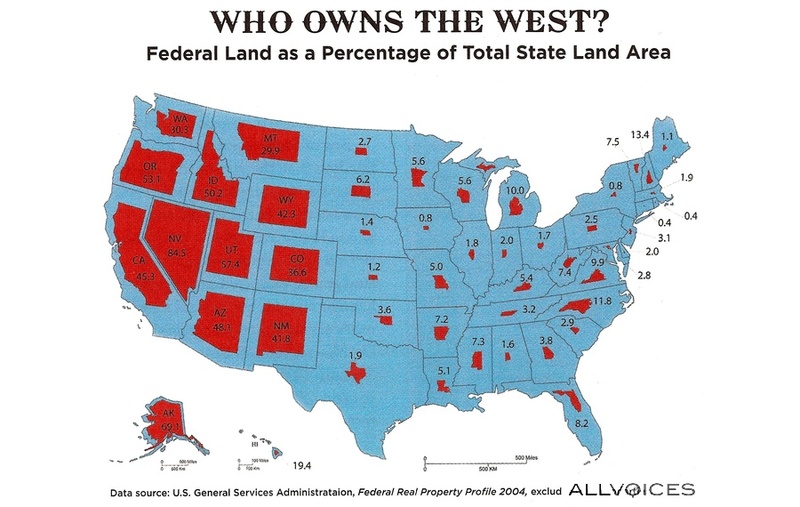 For all intents and purposes, the state of Nevada is a reserve and all ranchers, not just the Bundy family, find themselves as reserve Indians. The conservative patriotism is slightly skewed. Lastly, it is important to keep in mind the larger Federal agenda and how a “spark” could easily feed into its implementation. 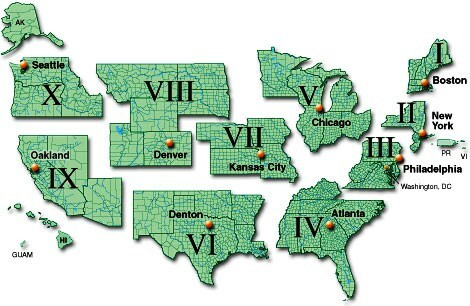 Zone IX contains the state of Nevada as part of the FEMA administrative breakdown for the “management” of a post-collapse Amerika. Keep in mind that this FEMA regional designation, as was The Patriot Act, was down on the books prior to 9/11. The internal agenda of 9/11 for the militarization of the police continues unabated, running in parallel to the external agenda of full-blown Empire overreach in a mad dash for the last of the planet’s easy crude. The boot begins to come down seriously and it begins to come down hard. The release of Cliven Bundy’s cattle is a sop, as is the supposed peace agreement arrived at; it is a stalling measure to gain time. This opening round was nothing more than a skirmish; both sides walked away and saved face without the loss of life. The next round will be different, as the unfortunate “militamen” will painfully discover. When the lead begins to fly there will be little room for sound bite and phone camera posturing. The White man’s Wounded Knee has merely been put on hold. Amerika cannot and will not dodge its destiny.